Caller ID puts your customer data at your fingertips right when you need it. Customers place their order quicker, your business handles more transactions, and the data helps provide better service. Welcome customers by name. Customer data, address, and history become immediately accessible; their phone number is identified, and the data presented, seamlessly. Caller ID saves your staff time, the customer data is already at hand. Staff can focus on service, offers, and completing more transactions per hour. Viewing order history quickly provides great service and upsell opportunities. Greet customers by name like you are best friends, remind them of their favorite order, or notify them of loyalty opportunities. 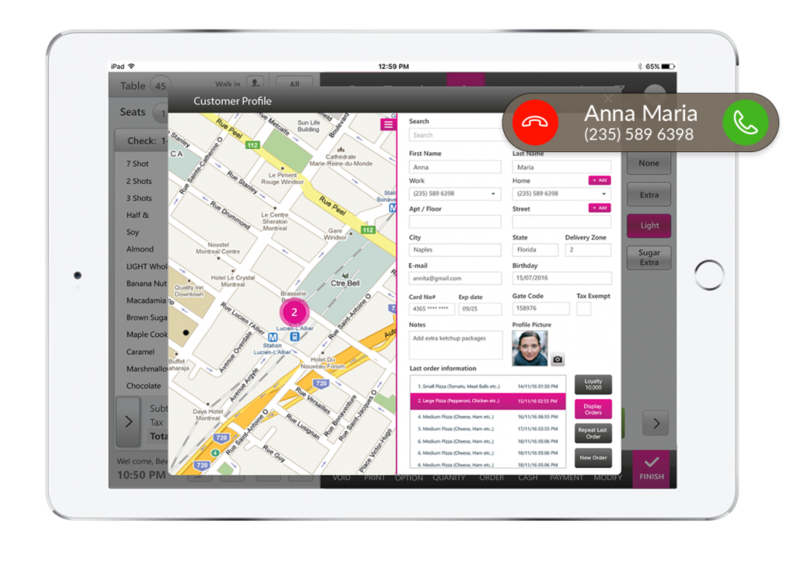 By quickly accessing loyalty points during the call, you can let customers know if they are close to a loyalty reward. The extra touch establishes your brand as attentive and caring. Customers value time as much or more than dollars. By having their address, name, and order history already in your hand, you can serve them quicker and get them on their way. Call back missed customers that hang up during busy times. Calls can be logged whether answered or not.